Some of you know that both of my kids do “ABA” for multiple hours a week but have no idea what that means. I like this video because it shows a real life example of a child being prompted to put his shoes away, put away groceries, pack his lunch, and walk the dog. In our house, real life examples are different than this and include playing a game by the rules from beginning to end, having a conversation that starts, flows nicely, and stops, doing math homework with minimal screaming (Wilma), practicing piano with minimal screaming (Fred), riding a bike while paying attention to cars coming out of driveways, going to the store and paying for items, appropriately greeting visitors who come to the door, clearing the table, putting away laundry, sweeping, changing trash bags, etc etc etc. Wilma likes to help me cook. Both kids worked very hard on shoe tying and mastered it. Wilma worked very hard on the dinnertime skill of not interrupting. Fred worked very hard on the dinnertime skill of using utensils and not hands. Many of these things are what neurotypical kids pick up naturally but our kids need extra support. 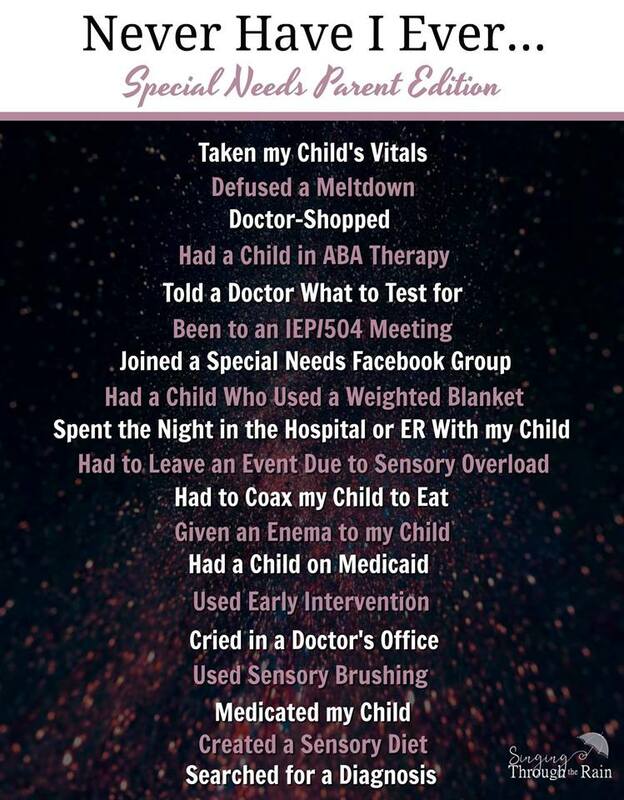 For us, ABA is a structured way to give them that extra support. Fred likes to work for candy. Wilma most recently worked for a little purse from Justice. Both earn money— Fred likes to spend his on hotwheels and Wilma likes to spend hers on virtual currency in the “Roblox” game. Hope that was a good explanation! I’ve Done All But One. You?